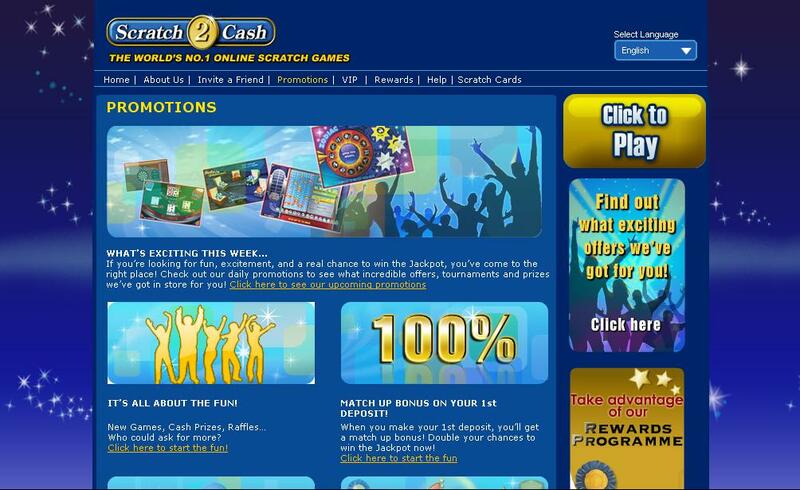 Scratch2Cash is an online gaming site that dedicates itself to providing players the widest selection of the best scratch card online games on the internet. This site was started in 2005 and is licensed by Malta authorities. The site is managed by NG International and is known for its game variety, fast payouts, special bonuses and secure financial transactions. The site also encourages responsible gaming. New players to Scratch2Cash get a no deposit bonus for free that they can use to try out the games and explore the site. Some of the interesting promotions at the site include special giveaways like spa weekends for lucky players and unique bonuses. Other offers includes the invite a friend feature which rewards players who get their friends to sign up at the site with $25. There is also a special feature called Club Pearl which rewards players like loyalty club. All payments made here by players go through the site’s parent company, NG International and this makes for secure transactions. The site accepts many payment options like Visa, MasterCard, EntroPay, Click2Pay, ClickandBuy, Diners Club, NETeller, Paysafe, UKASH and Delta. 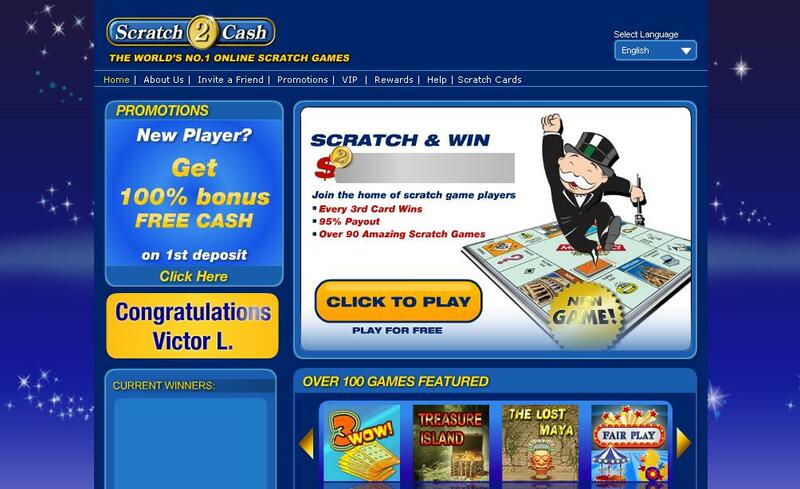 Scratch2Cash uses reliable software which has colorful graphics and entertaining audio back up providing players with a great gaming experience online. The site is well secured with 128-bit Secure Socket Layer (SSL) encryption and players can rest assured that their personal details and financial information is safe. The software is available in different languages and players from all over the world with the exception of US players are welcome here. Since Scratch2Cash caters primarily to scratch card game enthusiasts, players will find over 60 kinds of games from which they can choose from. Players will even find scratch card games based on popular online casino games like roulette and blackjack here. These games are called Casino Scratch cards; players will also find other theme based games like sports scratch card games themed on football and bowling, fantasy card games and other popular items. Some games are called Roulette, Lucky Diamonds, Slot Pyramid, Bowling and others. Scratch2Cash has a unique customer support policy called “CARE” which can be expanded to mean: Customers Are Really Everything. Support is available round the clock, every day of the week via email, chat, telephone and fax. Players who wish to contact the site by fax should use the appropriate number listed on the site which is country specific. There is also the option of email support, which allows players to fill in an online form and submit it, after which players would receive an answer to their query via email. Telephone support is available toll free for several countries and for other international countries the site has a listed number.